Tibet is a region covering the Tibetan plateau in Central Asia, bordering China to the north and east, and Nepal, Bhutan, India and Pakistan to the south and west. It contains the highest mountains in the world, and the region is, on average, 4500m above sea level. Tibetan culture is heavily influenced by Buddhism. Traditionally, the head of state in Tibet was the Dalai Lama, an unelected spiritual leader. In the buddhist tradition of reincarnation, it is believed that when the incumbent Dalai Lama dies, he will choose the body into which he is reborn, and it is the responsibility of the other high Lamas to find him. It is said that the current Dalai Lama, (the 14th Dalai Lama), was born to a family of farmers in a cow shed, one of 16 children. The Dalai Lama had the role of ceremonial head of state, much like the Queen does in the UK today, with an elected Prime Minister taking care of the governmental duties. In 2011, the 14th Dalai Lama requested that the role of head of state be taken from the Dalai Lama, and the official head of state of Tibet now is the elected president. The Tibetan Empire stood between the 6th and the 9th centuries, before falling apart and being replaced by a group of regional governments, loosely controlled from the Tibetan capital Lhasa. Most of the time Tibet was under rule by either Mongol or Chinese overlords. In 1912, the Tibetan people forced the Chinese out of Tibet, and declared independence – though China never recognised their claim. 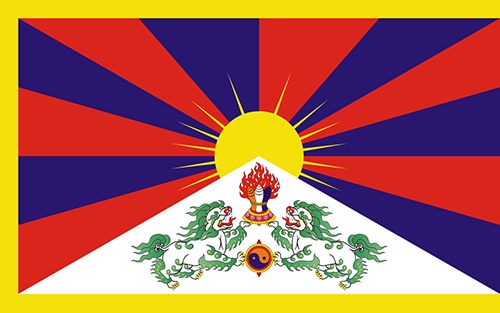 Tibet retained its independence until 1950, when the Chinese government moved in with military force, and made the Dalai Lama sign a peace agreement in 1951 making Tibet part of the People’s Republic of China. In 1959, there was a failed revolt in Tibet against Chinese rule and the Dalai Lama fled to India through the Himalayas overnight and has since renounced the 1951 agreement. Many Tibetans today live in Dharamsala, in north India where the Tibetan government-in-exile is located. The first game played by the Tibetan National Football Team took place in Denmark in 2008 against Greenland. The Chinese authorities put pressure on their Danish counterparts to stop the game from going ahead to prevent popular support for Tibet, but the Danish authorities refused. The game ended 4-1 to Greenland. He will need a change in fortunes compared to their previous performances on the pitch. They took part in one of the first organised alternative world cups, dubbed the ‘FIFI Wild Cup’, which took place in Germany in 2006 just before the FIFA World Cup that year. Hosted by St. Pauli (a team loved by fans of alternative culture in Hamburg), Tibet lost 7-0 and 5-0 to the hosts and Gibraltar respectively. An entirely different group of players and coaches will be taking part in the 2018 ConIFA World Cup though, so perhaps some Tibetan good karma will come their way.